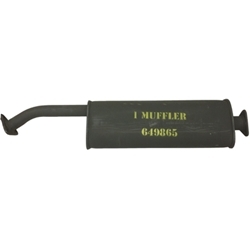 Muffler, exhaust, with flanges, high quality. These are not the typical Taiwan imports. We bring these in from Europe and they are a much better quality.